Euro NCAP announces the results for twelve new vehicles. This month's top scorers with five stars are the Audi Q3, BMW 1 Series, Chevrolet Captiva, Fiat Freemont, Ford Ranger, Hyundai Veloster, Mercedes M-Class, Opel/Vauxhall Astra and Opel/Vauxhall Zafira Tourer, Lancia Thema and Toyota Yaris. The Lancia Voyager was awarded four stars. 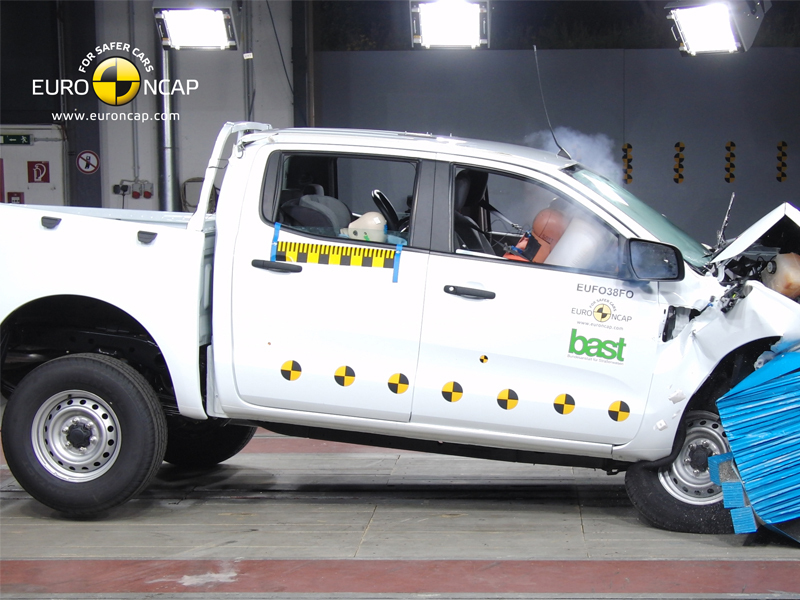 The most remarkable result this month is the Ford Ranger, the first pickup to achieve a five star rating, with impressive scores in all areas of Euro NCAP's assessments. This third generation model was designed and engineered by Ford Australia and marks a significant improvement over the 2 star adult occupant rating of the previous Ranger in 2008. In particular, the Ranger's 81% pedestrian score is the highest score recorded for pick-ups tested by Euro NCAP so far and therefore sets a new standard in this area. Available content includes videos, still images and datasheets for all tested vehicles. Euro NCAP Pedestrian Safety video is also available.